Another great afternoon in Toyota City. Today we were told we were going to learn how to make japanese food. 🙂 Nice!!! ~ Many of us signed up for it because what a great opportunity. We started with the “learning” it wasn’t as simple as we thought, of course, there are so many details that go into making a japanese dish… we thought it was going to look HORRIBLE to be honest but at the end, it wasn’t too bad. It actually looked REALLY GOOD! 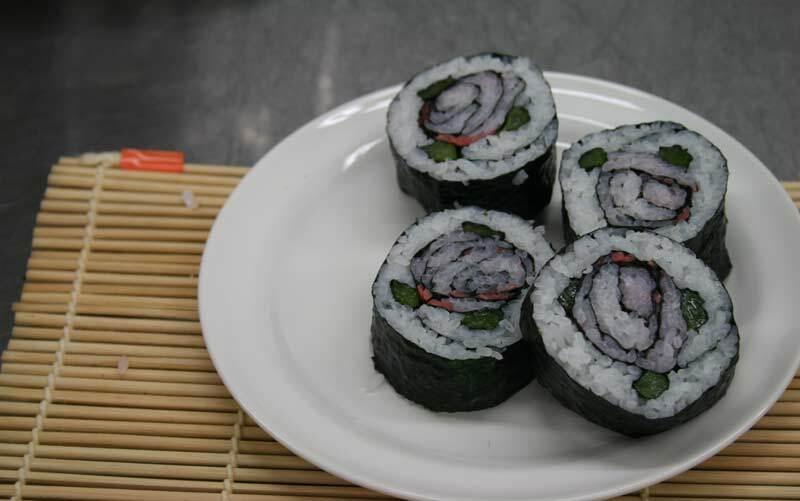 We learned how to make sushi… but… once you cut it, the inside of the roll looks like roses. Yes! like roses, can you believe it? Those Japanese people really know how to make food a special thing not only to eat but to see. Take a look at the picture!